Feeling passionate about advocating for general internal medicine but don't know how to start? Wondering how to get in touch with members of Congress to ask them to act on our behalf? Don't know what the issues are and how you can help? Become a member of the Health Policy Committee or do some advocacy efforts on your own. 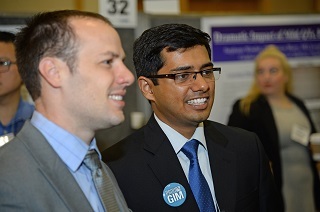 Get in touch with your Congressional representatives through SGIM's advocacy center here. Or learn more about the Congressional process and how YOU can become an effective advocate by browsing the documents below. For more information on how you can become involved, contact SGIM's health policy staff person Francine Jetton at jettonf@sgim.org.